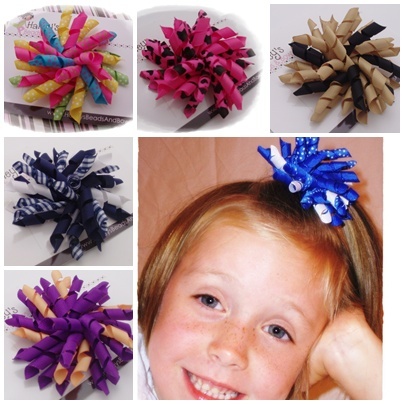 Full, fluffy and fun korker hair bows are available in two sizes: small 2 1/2 inch size and large 3 1/2 inch size. All ribbon ends are heat sealed. The price listings are for one (1) korker bow unless stated otherwise. You can also create a matching set at a great value! No slip grip may be added to all of our bows to allow girls with little hair or fine hair to enjoy our products.